It has been a busy couple weeks for me but here is a little bit of catch-up information for the weekend. There is a little bit of everything thrown together in this post but it mostly focuses on recruiting. AAU season is finally upon us. The Boo Williams tourney tipped off last weekend and there is plenty of AAU ball on tap for this weekend. Here is a basic list of where relevant AAU teams and players will be playing this weekend. AAU teams are still pretty much in flux so some of these “rosters” may be a little off, if you have a correction or addition shoot me an email at umhoops@gmail.com. Florida Rams – Tim Hardaway Jr.
Michigan Mustangs – John Horford, Alex Gauna, LaDante Henton, Juwan Howard Jr. The X-Factor is where Ray McCallum ends up, he could head to the Family with Amir Williams, Michael Talley, and Carlton Brundidge or play with Team Detroit and Trey Zeigler. I’ll also be keeping a keen eye toward Indiana AAU programs because Beilein has already raided the state once. The Double Pump Spring Classic (information here), Las Vegas Spring Explosion, and Arizona Preps Spring Classic (info pdf) will feature most of the talented West Coast prospects this weekend as well. Last year I was pretty surprised to find out that you can stream AAU games live online and now the process has become even more ridiculous. You can still stream video from Grass Roots TV but now it appears that it might cost $25 per tournament (although there is an ad on the page that claims streaming video is free). 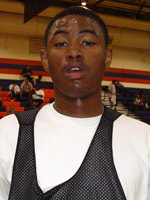 One of the bigger disappointments of the event was the play of 6-5 junior Moses Morgan (Las Vegas/ Palo Verde). He can knock down shots from anywhere, but his ball skills need polishing and he needs to play with more urgency at both ends. ESPN echoes those thoughts in this April 2009 report (Darius Morris’ teammate, Wesley Saunders, also impressed ESPN at the same tournament) Solomon is definitely intriguing. When a prospect “blows up” out west it can mean offers from some big fish like UCLA, USC, Arizona, and whoever else but he has the Michigan ties. Rivals released their final 2009 individual rankings this week. Darius Morris finishes at #77 (4-star) and Matt Vogrich at #137 (3-star). What’s this mean? Not much in my book. Darius led his team to the state championship and Matt led his to one of their best seasons in recent history while putting up solid numbers. Both of those kids had great years and probably couldn’t have done much more. Morgan and McLimans (who is playing baseball this spring) appear to be wild cards at this point. The rankings process is flawed in many ways and seeing DaShonte Riley and Donovan Kirk at the bottom of the list shows just how questionable those sophomore rankings can be. Beyond the top 25 or so prospects it gets very hard to accurately differentiate between players. 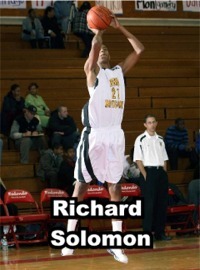 Because scouting companies only have so many scouts, AAU play is naturally emphasized. A huge AAU tournament can land you a spot in the top 50 but tearing up high school competition doesn’t do you much good if Jerry Meyer or another Rivals/Scout scout isn’t in the house. It’s worth mentioning that Indiana (10), Illinois (12), Minnesota (22) all made Rivals’ top 25 team rankings for the class of 2009. 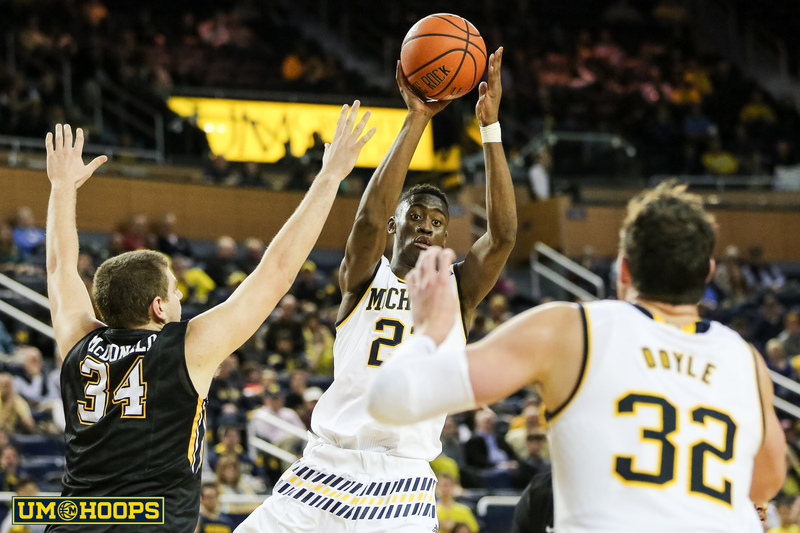 CJ Lee wrote his own blog on MGoBlue this year and it was a great feature that shared some insight into CJ’s life on the team. However, it wasn’t quite this entertaining. You’ve probably heard of Club Trillion by now but if you haven’t, it’s a blog run by Ohio State walk-on/manager Mark Titus. The name stems from the box score stat line that appears to look like one trillion. The blog is amusing, even if it is run by a Buckeye, and it recently passed one millions hits which prompted a guest post by Evan Turner. Turner, the target of a lot of Club Trillion hate, makes the case that he is not the whitest player on the team in his rant. What’s next for Mr. Legion? Brian looks at the hoops program’s “ceiling”, something we’ll be able to discuss here over the next few weeks when I can gather my thoughts. Is Isiah considering bringing Hardaway Sr. into the fold? Angus’ LOI hasn’t arrived in the OSU offices yet. This is probably moot but I guess it’s worth noting.